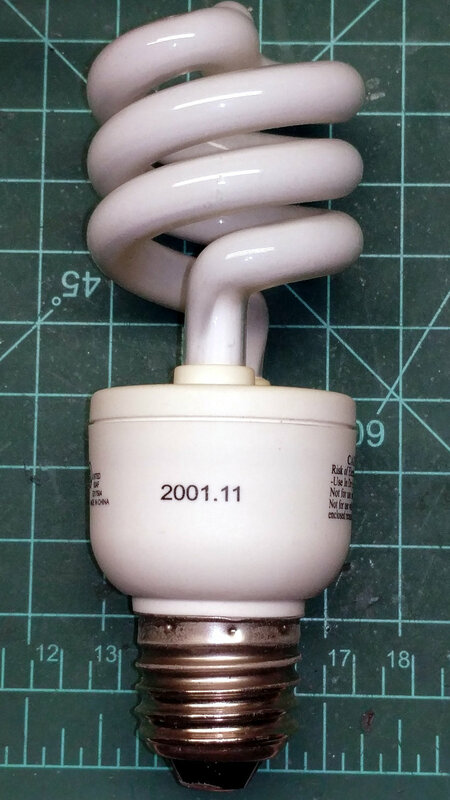 It had plenty of starts, although maybe not so many total hours, as the other CFLs you’ll find mentioned around here. I swapped in a similar CFL and we’ll see what happens. This entry was posted on 2018-10-07, 07:55 and is filed under Electronics Workbench, Science. You can follow any responses to this entry through RSS 2.0. Both comments and pings are currently closed.